When I’m done I’m going to compile one list of the most anxiety-inducing moments for me surrounding this trip; both those I feared in advance and those (the few) I dealt with in-country and address how those went. For now I’m going to focus on the tremendous experience that was well worth any discomfort. People choose Trekking for Kids trips because they want to experience exotic outdoor travel, but also because they like to participate in relief work. At least that’s my excuse, and while I suspect there are more people drawn to the trekking side and the relatively low-cost compared to commercial outfits, I’m sure nobody has regretted the opportunity to help out residents of a host country. TFK traditionally partners with orphanages in countries like Tanzania, Peru, Ecuador, Thailand, and more. Here in Nepal they’ve partnered with the Orphan Children Rescue Center in Katmandu’s old city, Bhaktapur. 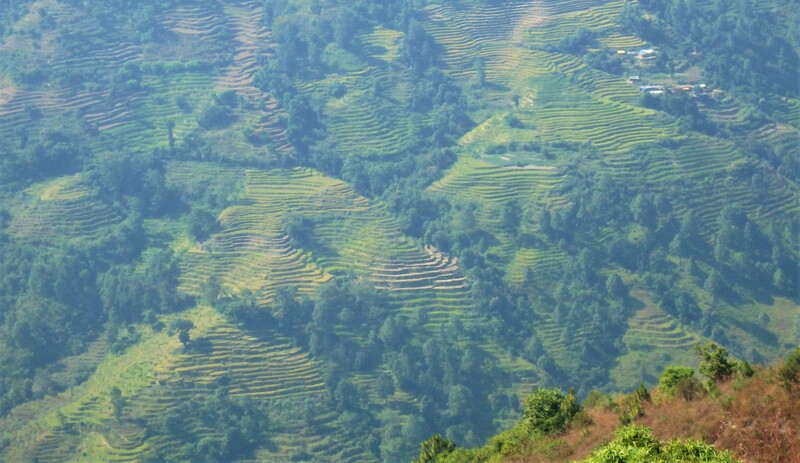 Nepal’s infrastructure is abysmal, and the government all but impotent. So while there are many promises made for the poor very, very few ever come to fruition. Nepali people don’t sit around waiting though, a surprising amount of bootstrap charities are founded by Nepalis intent on finding some way to get things done. The orphanage (OCRC) is one such charity, created by local businessmen who saw the need of these children. 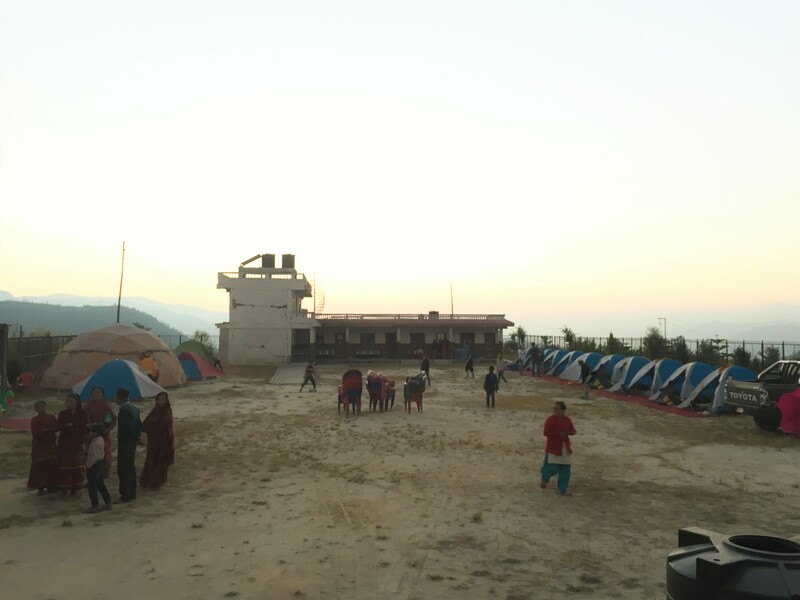 In 2010 TFK had two, back-to-back treks to Everest Base Camp that benefitted OCRC, raising funds to move the children to a new building and provide a raft of new supplies like beds. They also constructed another floor, giving space to separate the boys and girls and give the orphanage room to grow. Jagat was originally responsible for helping TFK connect with the OCRC in 2007, and has helped serve as a liaison on all their trips. Independent of that, Jagat has also done significant work in his home village, Kumari, through his non-profit Health & Ed 4 Nepal. 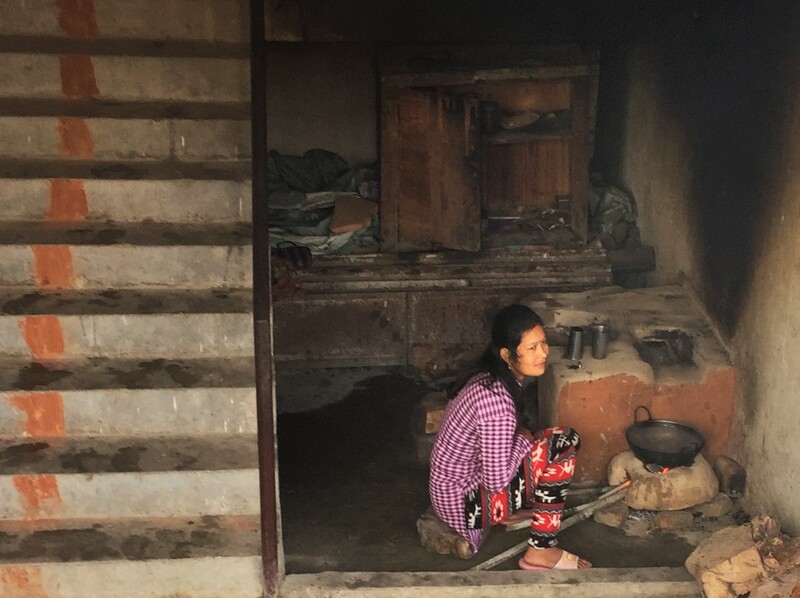 Kumari is in the Nukawot district of central Nepal, a mountainous region where people terrace the hillsides, subsistence farm, and sell what is leftover. The farming lifestyle means homes are scattered across the landscape and there are small, central gathering spots centered around schools or other important locations. While the government provides elementary and secondary schools in cities if rural dwellers want their kids to be educated they really have to provide for it themselves. Kumari has had a school for several years, where dedicated teachers use their own high-school level education to teach local kids. 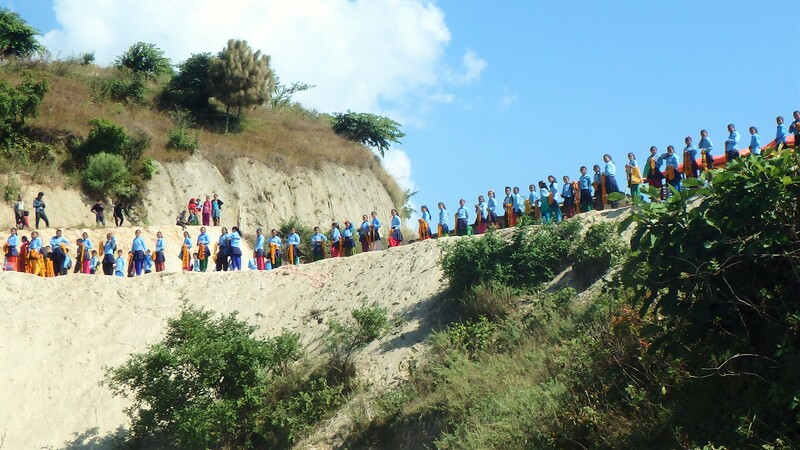 The school also helps keeps kiddos safe since they are not roaming the rural roads and countryside as prey for traffickers, and it gives them some focus in life. 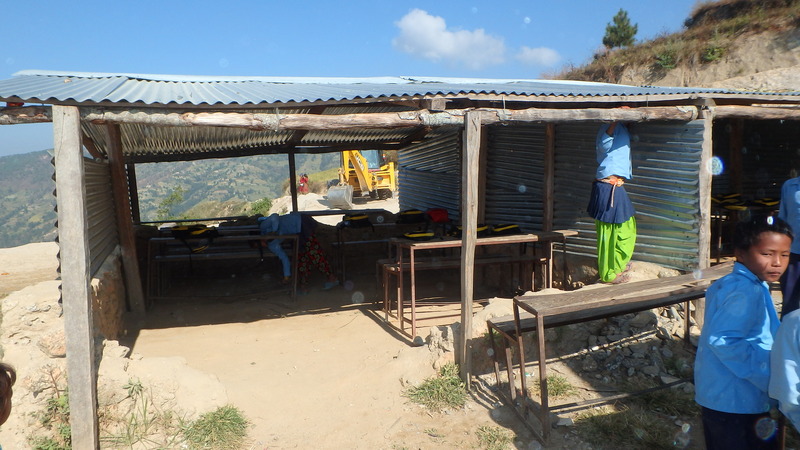 Kumari’s school was completely destroyed by the earthquake so our mission was to help raise the funds to rebuild it. Health & Ed 4 Nepal secured a grant for half the funding, and we brought a chunk of the rest. Our trip to the village was theoretically for us to “help” start the construction, and participate in the groundbreaking ceremony. In reality we were going to get in the way for a few days and enjoy the hospitality of these kind and gentle people. The drive was only about 60 miles but the road conditions required Land Cruisers and the trip took about 2 hours. Jagat and his friends had been clearing the road for us after the rainy season, which washes rocks and debris into the path along with mud. I thought it was interesting that we saw people washing clothes in the gutter as we left Kathmandu, and in the river near Kumari. When we arrived, wow. You’d think we’d saved the village. You’d think we were religious leaders. You’d think we were more than just average Americans. 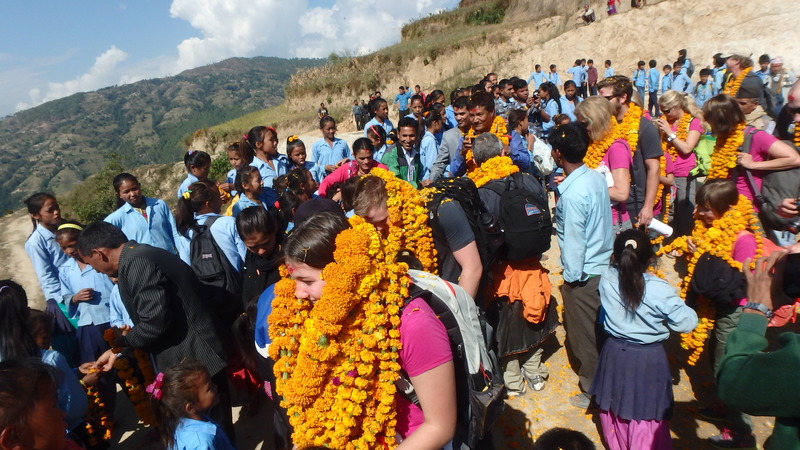 We were swamped with marigold leis from the school children and received wax blessings on our foreheads. An hours-long welcome and groundbreaking ceremony was held to honor every leader who’d contributed to the effort to rebuild the school. Local celebrities were even brought out from Kathmandu to emcee. It was touching, and fun to watch the kids and locals. I noticed that they are very physical toward one another and it was common for boys to stand with their arms around one another’s shoulders, or girls to hold hands. As the sun set we were ready to head down the hill to the medical center and dinner. The medical center was also the result of Jagat’s work, after seeing his father grow sick and pass away from an illness that was probably treatable with earlier intervention. Additionally he has helped bring a women’s center to the village as a gathering spot where women can learn how to stand up for themselves to combat domestic violence or alcoholism, and learn to sew as a trade. The women’s center collapsed during the earthquake, and the medical center was damaged. They’ll be repaired through separate efforts. The medical center is surrounded by a gated fence and our sleeping tents were set up there. Though these people are kind and hard-working, we didn’t want displays of our excess or rich lives to be a temptation to them, so we did our best to respect their community and keep our belongings inside the tents. Behind the medical center was a bathroom facility with a shower (YAY!) AND a western style toilet. Hardly roughing it! As with everywhere else in the country you can’t flush toilet paper, the plumbing system just isn’t strong enough to handle it. Wastebaskets are placed in each bathroom and emptied daily. We spent 3 days in Kumari helping to put the roof on a new structure that will house indoor bathrooms at the school – the first indoor bathrooms for the kids. We helped mark out and dig the perimeter for the classrooms’ foundation, and moved blocks of concrete from the old school building that will be used to fill in the cement pour on the new foundation. We tried to work hard, but you can’t outwork these Kumari. And as with any aid project we had to defer to their needs and what would best help their efforts rather than fulfilling our own desire to be drop-in saviors. These are the temporary classrooms. The younger students have class outside. We also enjoyed time to bond and get to know one another, before setting off for the Himalaya together. There were several TFK alumni, two professional mountain climbers, three hobbyist mountain climbers, and a few randoms like us. We were the only trekking newbies, diving into this world for our first time. There was no internet access and no cell phone access. Locals do have cell phones – younger people have smart phones – which creates a real dichotomy. They can access so much of the same information we can, and so few of the same resources. I loved the time away. It was good to get to know the team and, since I’m an introvert, when I was ready to be alone I had my books on my phone, which I charged with a solar charger. More importantly I was reminded that people are smart, inherently dignified, and always desiring to better their community for their children. Click on these photos for a larger click-through gallery. Vicki and I were pleased to find this sign in the wreckage. One of their buildings had been a small library.